The Mini bushcraft only weighs 10.1kg therefore is very easy to carry and manoeuvre around. The glass door gives you the feel of real warmth wherever you are and whatever you are doing. The griddle plate sits on top, so that once at the right temperature it gives you a sturdy and simple cooking surface. The air vent at the front gives you full control of airflow once the stove is burning. 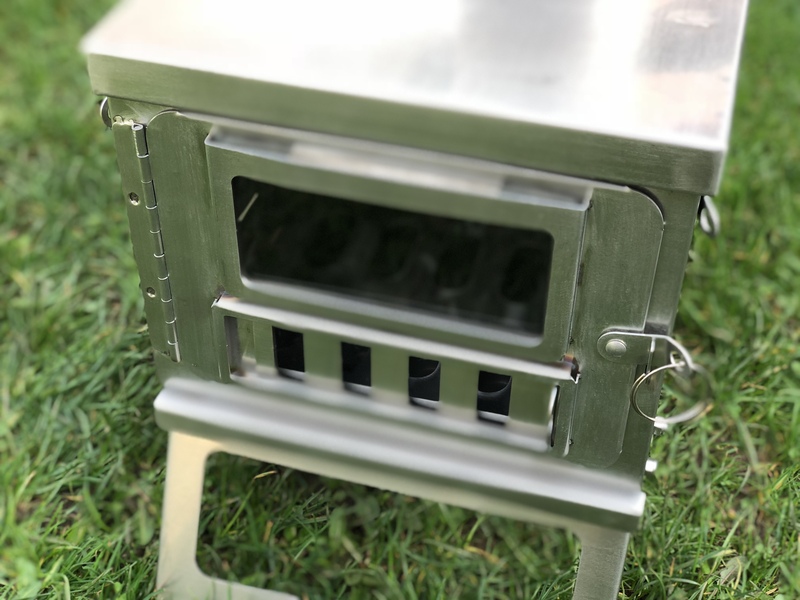 The Mini Bushcraft stove is an ideal outdoor woodburner stove for use in gardens, out fishing or just a general day out in the country. Basically anywhere! As with all our stoves we only recommend burning dry wood. This is the most efficient way of using the Mini Bushcraft stove and will give you the cleanest source of heat. 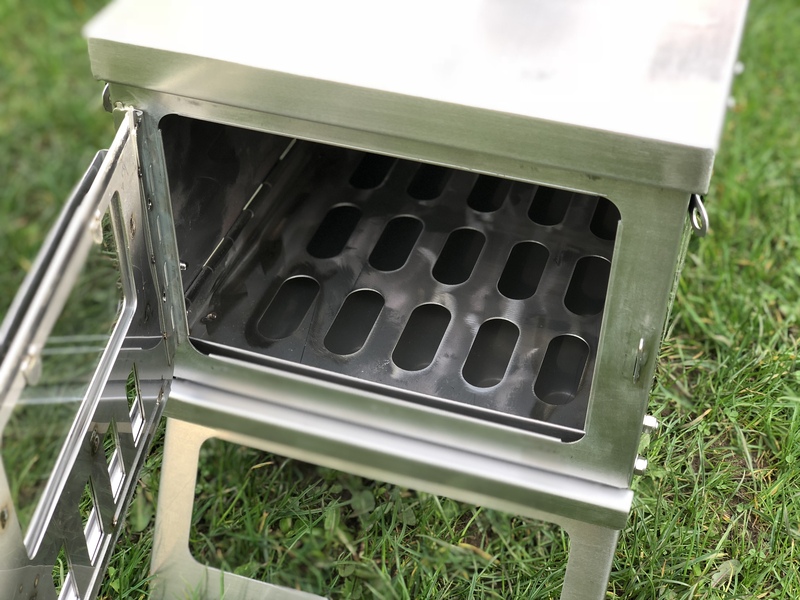 The stove has four fold in legs to make the stove completely compact and easy to carry. The flue breaks down into 6 pieces and folds away once apart. The flue section simply clips together when putting together. The top flue section has a built in spark arrestor. The body of the stove also breaks down into pieces giving you the ideal outdoor collapsible woodburner stove. 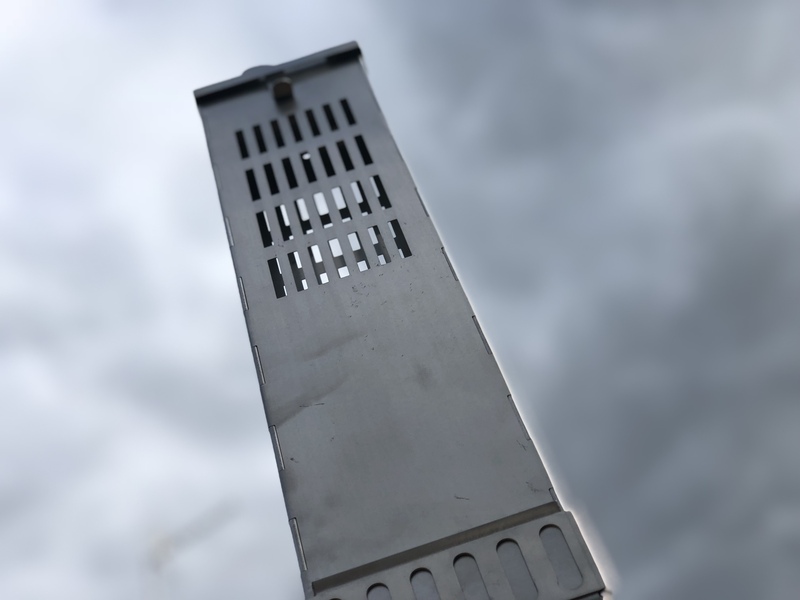 It’s very sleek and compact design gives it the edge over any other stove on the market! The stove packs down to 16" x 12" x 6".